Wet soil conditions in parts of Manitoba have some producers debating straight cutting to allow fields to dry out. Crops that are good candidates for straight cutting are uniform, well knitted and have good standability. A slightly leaning crop can still be good to straight cut. 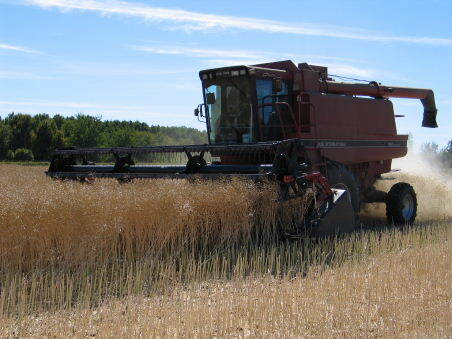 Click here for more information on the risks and rewards of the two different harvesting systems – straight cutting vs. swathing. Click here for a pod cast with Canola Council Agronomist Greg Sekulic about the risks and rewards of straight cutting and how understanding which fields are good candidates is the first step towards success.